You may think that selling your home during the holidays is not a good idea. However, the truth is that it may deliver both benefits and drawbacks for a variety of reasons. 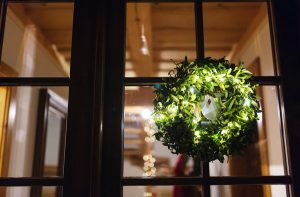 If you have the intention of selling your home during the holidays, however, you should consider the following tips to make the most out of it. This tip might sound obvious, and yet a considerable number of homeowners choose to go with random real-estate guys for some reason. It is the best practice, however, to go for a reputed, well-established real-estate agent when selling your house. You may consider asking your friends or coworkers for such agent. Just because you are getting the assistance of a real state agent, you shouldn’t give up finding potential buyers. You might be able to locate potential buyers within your social media contacts, or other networks to which you belong. Remember, most of the buyers during the holiday season are serious. Calculate the net amount you want to receive from selling your home. Don’t set the price too high expecting to bring the price down during the negotiation process. The best practice is to offer a fair deal upfront to maximize your chances. It is a universal truth that reasonably priced real-estate easily attracts buyers. Have a good look at the exterior of the house and give it a touch of paint if necessary. Clean the gutters and downspouts. Get minor repairs done (including stairways, roof, fences, etc.). Before selling your home, make the interior of the house more presentable and comfortable for the potential buyers. Keep it nicely heated and odorless. Play some soft music. Bake some cookies. These small tricks make prospective buyers spend more time inside the house creating a connection. Consider hiring a professional photographer to take pictures of your property. It is incredible how proper lighting and staging can make your home look like a showcase. If possible, take a couple of exterior photos during all four seasons and present them. This way your buyer has a good idea how the property appears throughout the year. For more tips on selling your home check out My Triangle Homes.